Chai seeds may look small, but when left in liquid 1-2 hours it thickens and sets. 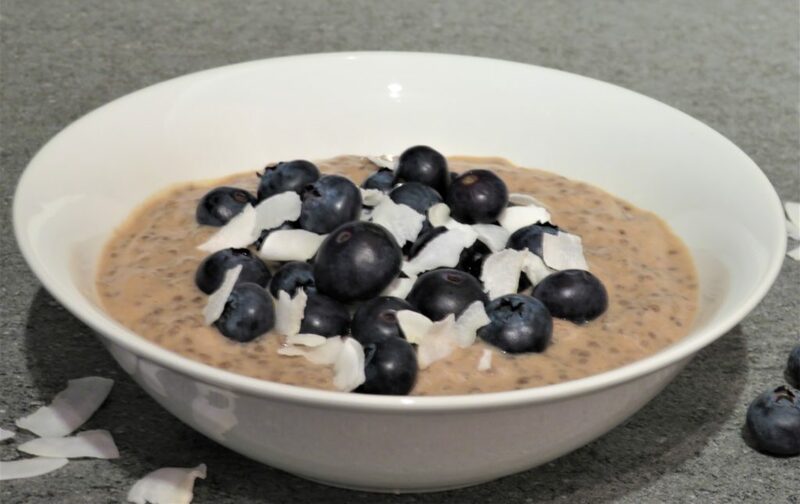 Which is perfect for this protein rich porridge to be done the night before, so it is ready in morning for a protein packed breakfast that have you feeling full until lunch. Containing 25g of protein per serving which is half of your minimum recommended daily allowance your already half way there to getting the protein you need for the day. 1 Place the milk in a blender jug and add the protein powder and wiz until smooth. 2 Then add the banana, vanilla and the chai seeds and wiz for 5 seconds. 3 Then pour into bowls, cover and place in the fridge overnight. 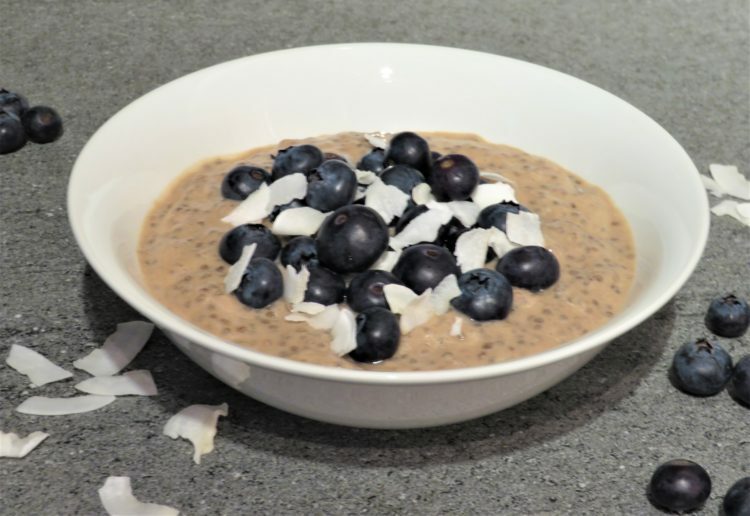 4 Then the next morning remove from the fridge and top with blue berries and sprinkle on the coconut sherds and enjoy! Tip: If having it straight from the fridge is too cold for you, you could remove it from the fridge an hour before you going to eat it so it is at room temperate or warm in the microwave for a hot breakfast. Pea Protein Powder is rich in amino acids with similar levels found in eggs and dairy. It also helps the body absorb calcium and muscle recovery. It is also great way to fortify your foods like soups, porridge, pancakes and smoothies to make sure you are getting the protein your body needs on a plant based diet. Almond Milk is more beneficial than dairy as it contains more nutritious. It is high in vitamin-A, vitamin-E, vitamin-D, fibre, protein and calcium.